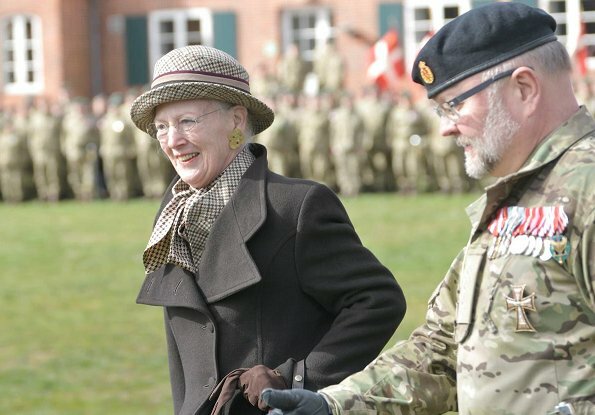 On March 31, 2019, Queen Margrethe II of Denmark and Crown Princess Mary of Denmark attended the Home Guard’s 70th anniversary held at the Home Guard School. 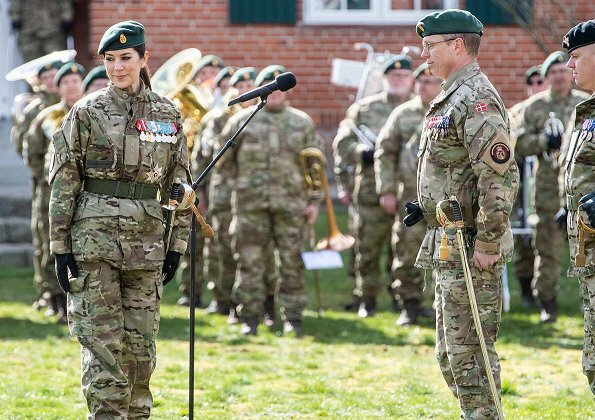 The Home Guard’s 70th anniversary was celebrated with a parade at Nymindegab Camp in Norre Nebel, Denmark where the Home Guard School is located. 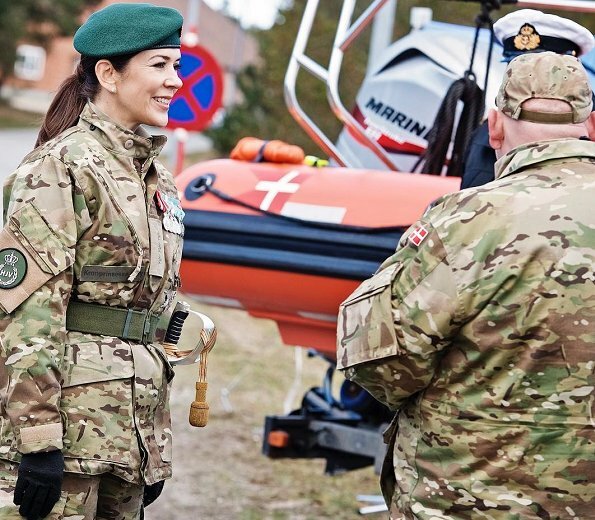 Danish Crown Princess Mary was promoted to Captain of the Guard at the 70th anniversary at Nymindegab. 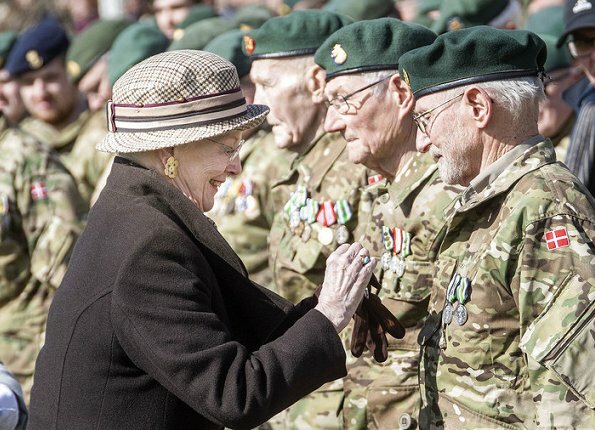 The Home Guard is a volunteer military organization. 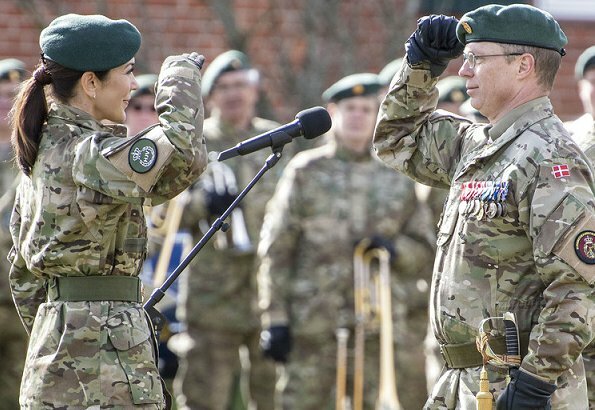 Nearly 15 percent of all volunteer soldiers are women. 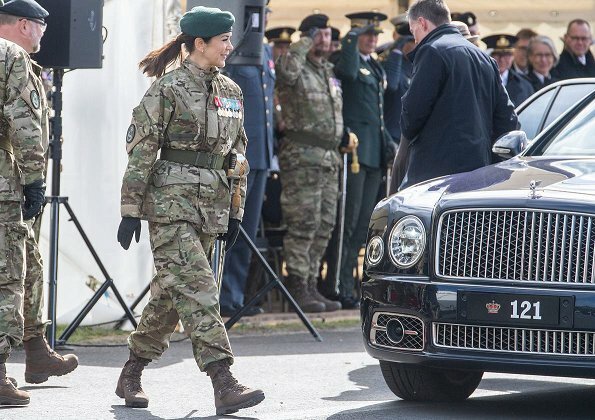 Why the Crown Prince did not attend? Was wondering the same thing. Really what does Frederick do? Mary attends more events than he does. I'm the anonymous who made the second comment.. When they got married, they both knew that it was not going to be possible for one parent to be with their children at all times. Understandable when they were babies but their children are all in school now. So no reason for Frederick to be sitting at home during daytime engagements. But I'll leave it at that because some people on this blog like to complain when the topic goes off fashion. 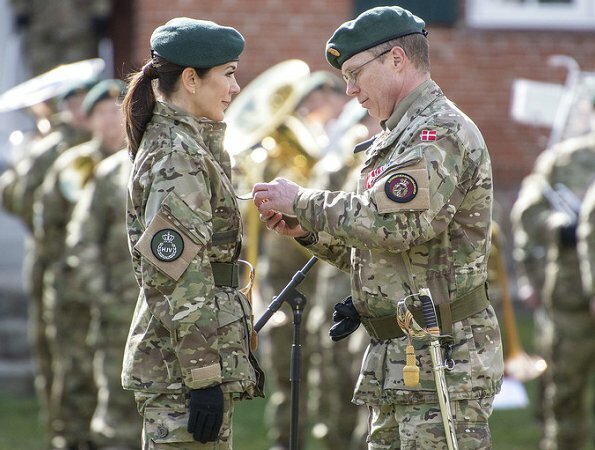 Congrats to CPss Mary. 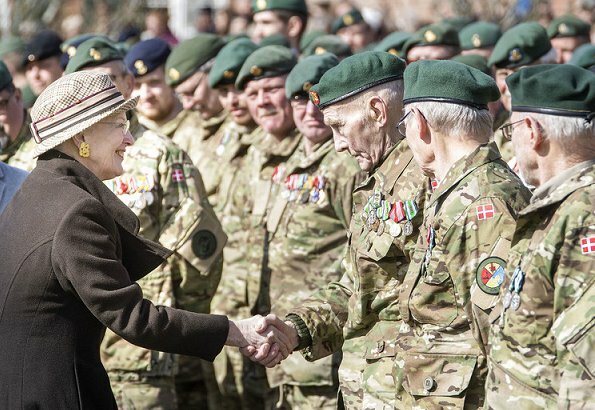 Now she is a CPT of the Homeguards.I must say the Queen looks very nice love the brown coat and of course her smile. 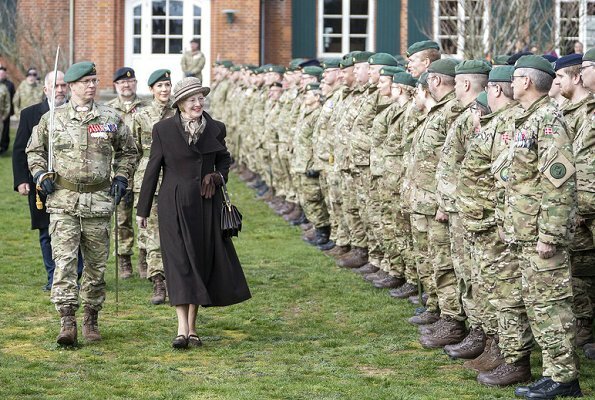 Mary looks good in camouflage. 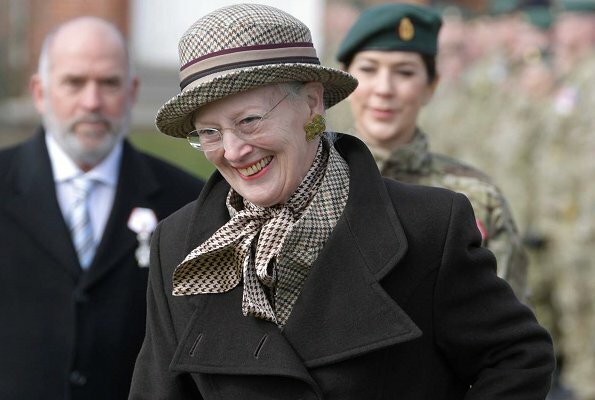 Mary really looks good in everything, doesn't she! Oh Fred ne râlez pas, les pays scandinaves sont bien plus égalitaires que le reste de l'Europe. C'est nous qui avons à apprendre chez eux. 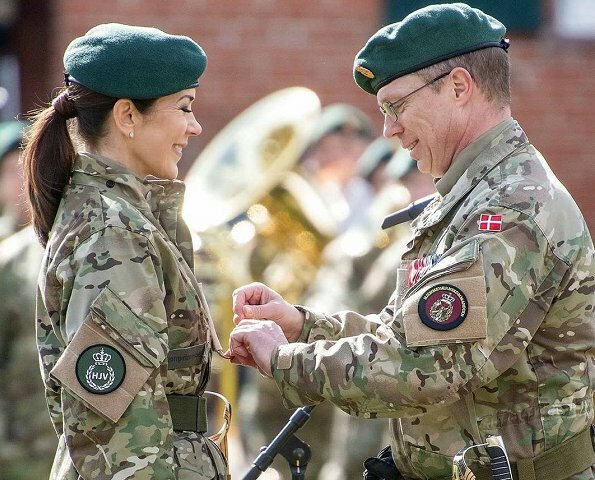 Fred...the Crownprincess has the proper education and the career and every right to wear the uniform, the rang and the medals as a captain of the Home Guards. Je crois plutôt que c'est le statut de princesse qui ouvre tous les droits. Le grade de capitaine nécessite un peu plus que de revêtir la tenue de temps à autre. Le fameux adage "selon que vous serez puissants ou misérables" revêt ici tout son sens. Cela étant, je garderai pour moi à l'avenir mes impressions qui finalement n'élèvent pas le niveau. I am sorry. 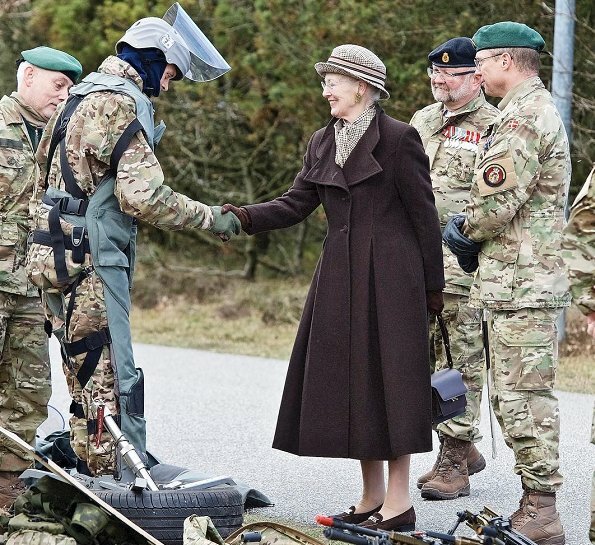 I really don't like the Queen's outfit here at all. It reminds me of outfits worn by my Granny, who died in the 60s. She looks so much better in bright colours and more streamlined shapes. I find her outfit well put together - and afterall, she is a Granny. So, be proud of your Granny with such an impeccable taste! :-). Thanks, Anon 5 50. I like that take on it! Brown is the most horrible color on anyone. I shudder when I see anyone wear brown, eve a queen or princess, with their jewels. 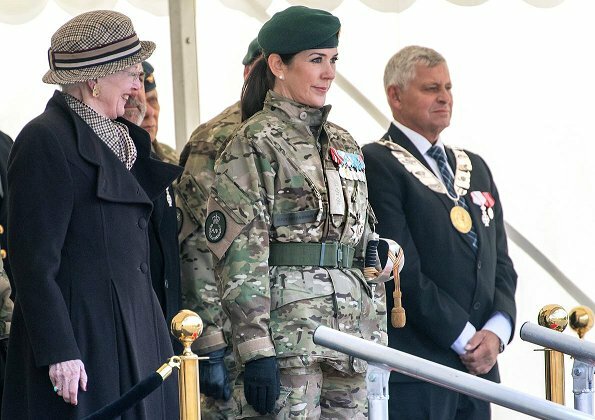 I think the brown colour was quite appropriate here for this military event.